The INFINITI Q50 is the brand’s best-selling model and has been drivers’ favorite since it was first released in 2013. The 2018 version of the Q50 is not to be missed, as INFINITI reimagined the model with an all-new design and modern-day upgrades. The 2018 INFINITI Q50 delivers an empowering drive thanks to innovative powertrain options, including the award-winning 3.0-liter V6 twin-turbo engine from the new and exclusive VR powertrain family, which was included on the 2017 Ward’s “10 Best Engines” list. The 2018 INFINITI Q50 includes significant updates from previous model years. The designers refreshed the exterior look with sleeker lines and the interior look with new luxurious textiles. In technological innovation, the Q50 is top-of-the-line with Direct Adaptive Steering, Active Lane Control, Intelligent Cruise Control, Distance Control Assist, Backup Collision Intervention, Blind Spot Warning and Intervention, Lane Departure Warning and Prevention, Forward Emergency Braking, and Predictive Forward Collision Warning. Curious as to see what the 2018 INFINITI Q50 has to offer? 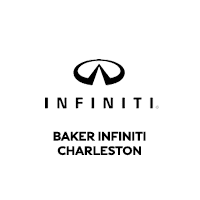 We welcome you to visit us at Baker INFINITI Charleston at 1513 Savannah Highway in West Ashley. Plus, view our current INFINITI lease offers and specials on new 2019 Q50 models.